Since 2012, recovers.org has been free to all communities worldwide recovering from natural disasters. It is now under the umbrella of Supporting Resilient Communities, Inc., a 501(c)3 nonprofit. The United States Society for Augmentative Communication (USSAAC) helps people with severe communication disabilities regain access to lost AAC tools and technologies. This site focuses on meeting their needs in federally-declared disasters. Facilitates recovery in Sonoma, Napa, Lake & Mendocino, focus on Sonoma. We empower local residents with collaborative disaster organizing tools and training, and access to experienced experts. We've been part of the recovery for almost every type of natural disaster: floods, wildfires, earthquakes, tornadoes, hurricanes and landslides, and this experience helps us guide the next community through the surprises and difficulties of the long road to recovery. Our disaster recovery platform, [yourtown].recovers.org, is a collaborative toolkit designed to reduce duplication and confusion, prevent the "second disaster", and stay in the community under local control. It does NOT replace any traditional means of response and recovery, which are necessary and effective. It augments traditional recovery mechanisms by leveraging mass-communication tools and keeping volunteers and organizations apprised of each other's capabilities, needs and events. The recovers.org software platform is a centralized hub for every responding organization to announce their resources, events and needs, and to connect residents with the massive online outpouring of support, via confidential databases of skilled volunteers and valuable donations. Above all, we center the survivors. 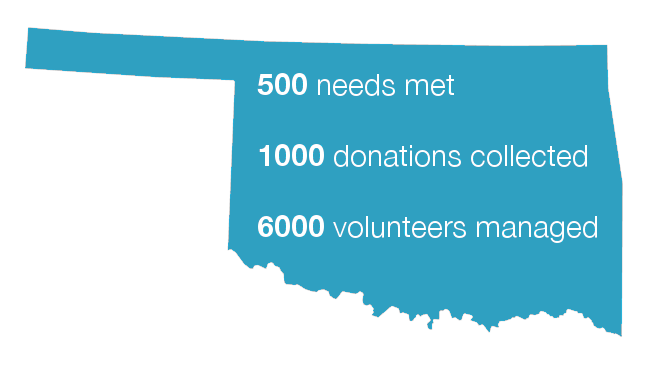 We work with municipalities, nonprofit organizations, faith communities, volunteers, donors and businesses to serve the needs of the families that were struck by disaster. We do this by redirecting the broader philanthropic public away from what they think is needed toward what is actually needed by families suffering loss. This means fewer used clothing donations and more gift cards; fewer toys and more cash toward local recovery funds. The tapestry of needs is different in every community, and we emphasize local control and local choice as the quickest way to get a community back on its feet. "Thank you to [Recovers] for being here at the beginning and staying by our side during each phase of recovery." Rather than overwhelming your organization and requiring a call center, residents go to [yourtown].recovers.org to request help, offer donation items, volunteer their skills, and find important recovery information. You have access to use these resources and meet the needs of your community. Define your role by listing your location, skills, and needs. Rather than editing your existing website or starting a new Facebook page, you can reach the community by creating a profile page. Then use the dashboard tools to manage the donations, volunteers, and requests for help.